The condition of your teeth and oral cavity can change as you are aging. This can lead to additional dental health issues. Taking care of your teeth and gums during the aging process can prevent gingivitis, tooth decay and halitosis. Use these five tips to keep your teeth and gums in the best condition. If you have bruxism, or excessive teeth grinding or jaw clenching, then your teeth can develop cracks or chips that will damage the dental enamel. When your dental enamel is damaged, more bacteria can enter a tooth, leading to infections or a loss of teeth. Repetitive tooth grinding can wear down the biting surface of your teeth, making it difficult to chew food. In addition, the alignment of your teeth might change, leading to dental malocclusions or a bad bite that cause temporomandibular joint dysfunction. However, your dentist can make customized night guards to protect your teeth from the damages of bruxism. In addition to brushing your teeth after meals and snacks, make sure to floss your teeth at least once a day. Flossing your teeth helps to remove the food particles that are stuck between your teeth and along the gums. Not only does flossing help to prevent tooth decay, but also, it decreases your chances of having bad breath or gum disease. If you have teeth that are overlapping or close together, then flossing your teeth several times a day is recommended. You can use traditional dental floss, but if you find that difficult, there are floss picks that can aid you in getting to those hard-to-reach spots. When you smoke cigarettes or eat certain types of foods, such as coffee, your teeth are more likely to develop ugly discolorations on the dental enamel. To protect your teeth from developing stains in the short term, brush with activated charcoal. Activated charcoal is not effective at whitening old, deep stains; however, it is shown to help draw out shallow, new stains, which prevents them from setting. If you’re interested in whitening your teeth, you can do so with an at-home kit. At-home kits take consistent treatment over extended periods, and will require touch-ups; on the contrary, a professional whitening procedure is a fast and easy process that lasts for years at a time. A dentist can protect your restorations before applying a strong hydrogen peroxide solution to your teeth. This type of whitening process requires approximately one hour, and in many cases, your teeth will remain whiter for up to one year. You can overcome bad breath by using mouthwash after brushing and flossing your teeth. There are different types of mouthwash that can perform additional functions, including rinsing your teeth with fluoride or helping to remove the stains from the surface of your teeth. Make sure to select a mouthwash that has an enjoyable flavor and scent so that you can have fresher breath. If you’re doing all these things and you are still struggling with halitosis, it is important that you seek medical attention; according to Dr. Steven Lim, “50 million people suffer from chronic halitosis (bad breath) in the US, but many don’t seek help because they’re embarrassed. 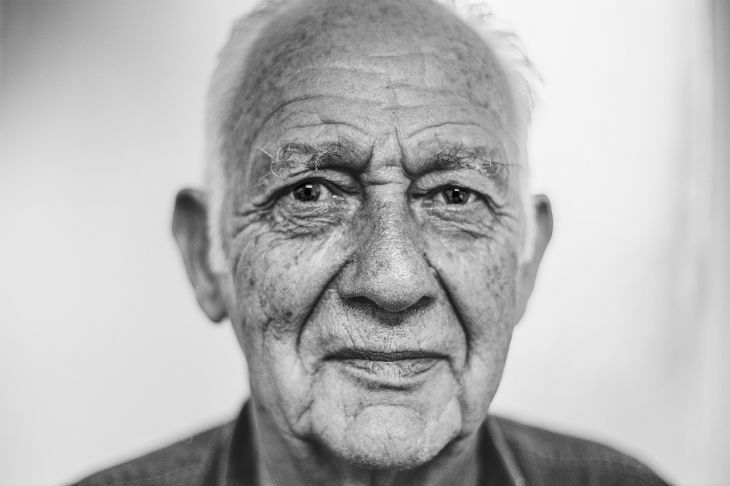 A natural part of aging is the slow erosion or loss of teeth; unfortunately, sometimes despite your best efforts, you may still lose a tooth or two when you are elderly. When this time comes, you will need dentures. Frank Wanat DDS describes a denture as “a removable replacement for missing teeth and surrounding tissues. There are two types of dentures available: partial dentures and complete dentures. Partial dentures are used when some natural teeth remain and complete dentures are used to replace all teeth. Dentures are made to resemble your natural teeth, so there should be no noticeable change to appearance.” If you wear dentures, then it is vital to take proper care of these items to have a beautiful smile and healthy gum tissue. Use the cleaning method that is recommended by your dentist, including buying the correct type of toothbrush and toothpaste—even if it seems like a hassle. Avoid dropping your dentures on a bathroom’s hard countertop or floor because this can damage the plastic supports or artificial teeth. We saved the best and most important step for last. Eating a good diet that is rich in vitamins and minerals, especially vitamin C, is extremely important to bone and tooth health. To maintain the health of your gums and teeth, make sure to consume a nutritious daily diet that includes a lot of fresh fruits and vegetables. You should also eat dairy products, whole grains and lean proteins. Avoid eating poor-quality foods such as pastries or potato chips that can lead to cavities or halitosis. If necessary, supplement your diet with extra vitamins to ensure that your body is receiving the components it needs to build healthy tissues in your mouth and to build up strong enamel.